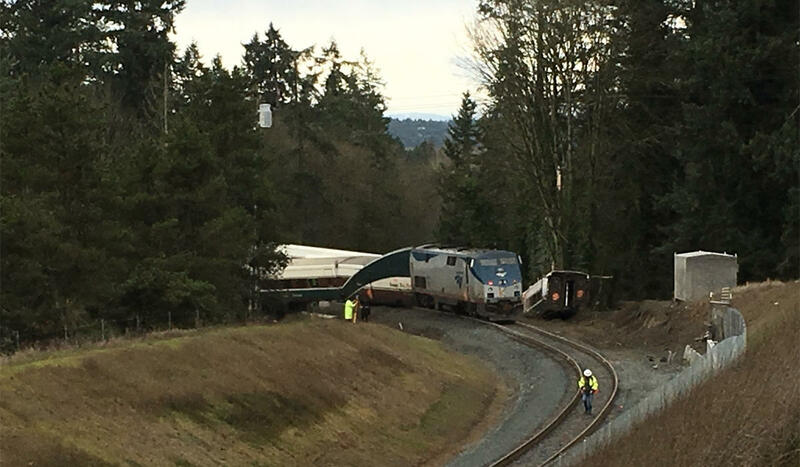 A conductor on board the Amtrak train that derailed north of Olympia in December alleges that the crew received inadequate training. 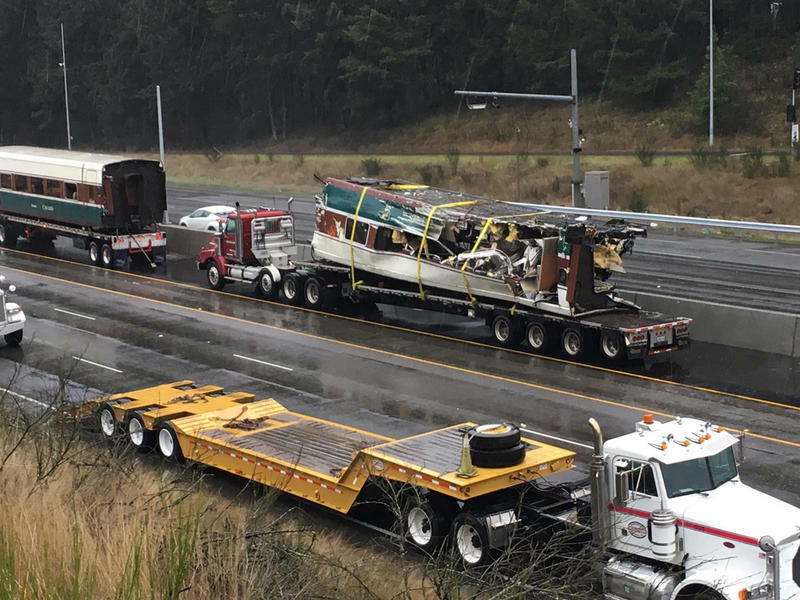 A conductor who was at the front of the Amtrak train that derailed north of Olympia is alleging in a lawsuit filed Wednesday that the crew received inadequate training. An injured passenger made similar claims in a separate lawsuit filed hours later. 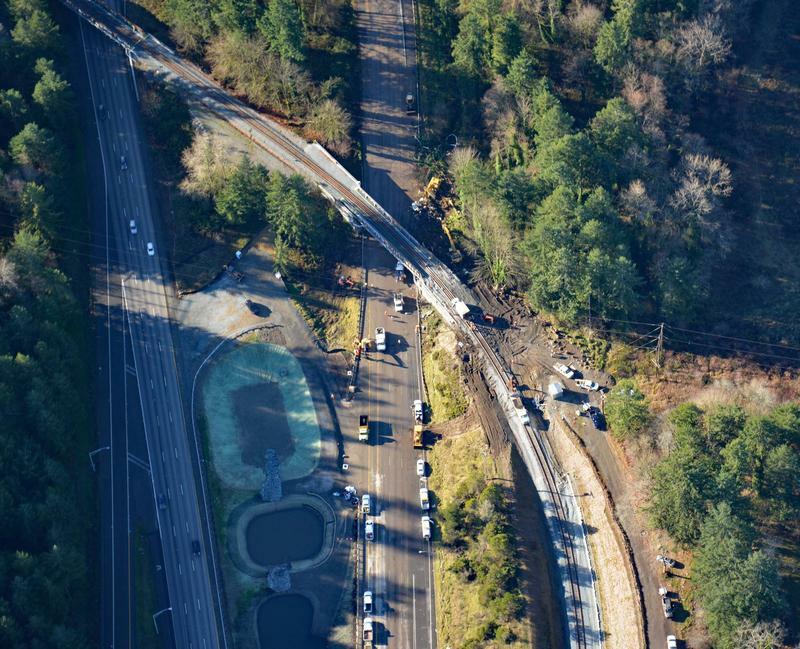 The December derailment killed three people, seriously injured scores more and closed southbound Interstate 5 for two-and-a-half days. Conductor Garrick Freeman of Bellevue, Washington, was riding in the front locomotive. He wanted to familiarize himself with a new, faster routing on Amtrak's Seattle to Portland service. Freeman suffered a shattered pelvis and cracked ribs when the engineer driving the train failed to slow down at a curve and the train crashed onto the freeway below. Freeman hired attorney Anthony Petru to sue Amtrak for unspecified damages. Petru filed the lawsuit in Pierce County Superior Court in Tacoma. An Amtrak spokesman said the rail service does not comment on pending litigation. Petru said in an interview Wednesday that his badly-injured client was moved from Seattle's Harborview Medical Center on December 30 to a rehabilitation center where he will recover for the next month. Petru's Oakland, California-based law practice is being assisted on this case by firms in Seattle and Portland. According to Petru, Freeman said he was looking at paperwork as the Amtrak Cascades train approached the fateful curve at nearly 80 mph. The curve was posted with a 30 mph speed limit. Petru said the conductor-in-training did not distract the engineer at the train's controls. The law firm's initial investigation has not yet pinned down exactly how many practice trips the train crew got before the inaugural run with paying passengers on the new, faster Point Defiance Bypass route on December 18. "This needs to be ferreted out with more specificity, but it appears as though the conductors and the engineers who were going to be doing this run were familiarized primarily at night in large groups," Petru said. "I believe they were doing it not at 80 miles per hour, but at slower speeds," Petru elaborated. "My understanding is that the engineers would run once southbound and then once northbound. If Amtrak thinks that is enough, I think they have got some answering to do because I don't think it is." Beside the claim that Amtrak behaved "carelessly and negligently" by failing to train its employees to operate trains safely on the new bypass, the conductor's lawsuit raises as an issue the absence of automatic braking systems on the track. Freeman's lawsuit alleges negligence by Amtrak and its railroad partners for "failing to activate positive train control technology on the track." Positive train control was in the process of being installed on the bypass route, but not quite ready. A Washington State Department of Transportation spokeswoman previously noted that PTC is not operative on the old, slower train route along the shore of Puget Sound either. Railways nationwide face a Congressionally-mandated deadline of December 31, 2018 to activate PTC. Separately, a Chicago-based law firm filed suit against Amtrak Wednesday in King County Superior Court in Seattle on behalf of an injured passenger, Pennie Cottrell. The lead attorney said nine other people injured in the derailment have retained him too, so that lawsuit will be expanded or replicated later. Cottrell's lawsuit puts PTC at the core of its case. "Defendant Amtrak failed to use available train control systems and other safety technologies that would have prevented the derailment," asserted the complaint signed by attorney Robert Gellatly of Seattle, who is assisting plaintiff's attorney Michael Krzak of Chicago. The passenger's lawsuit also alleges the train engineer had insufficient experience and training to operate Train 501 on the new bypass route. According to her law firm, Cottrell suffered multiple broken ribs, a fractured clavicle and serious internal injuries. 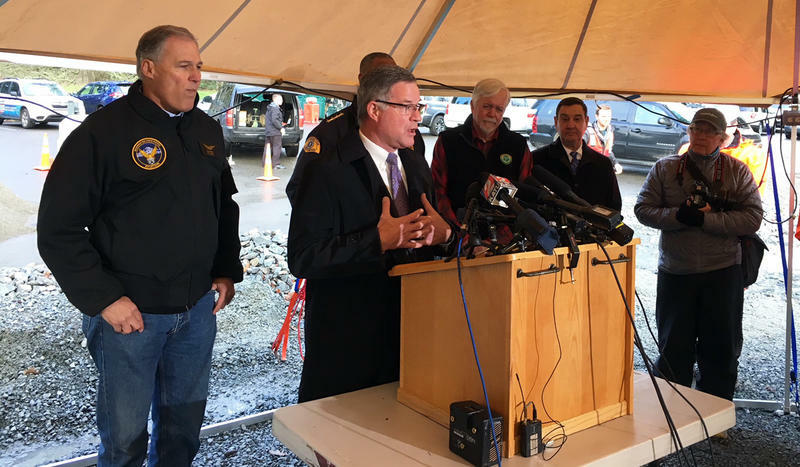 During a news conference in Tacoma two days after the deadly derailment, Amtrak's new CEO Richard Anderson expressed sorrow for the victims. He dodged questions about delays in activating positive train control in the Pacific Northwest. Anderson committed to Washington's governor that the railroad company would cover the entire costs of the derailment, from the medical expenses for the injured to the costs associated with restoring passenger rail service to road repair. Federal investigators from the National Transportation Safety Board expect to stay at least another week in Western Washington gathering evidence from Monday's deadly Amtrak train derailment. Investigators have not yet interviewed the hospitalized train engineer. Washington state's Department of Transportation has unilaterally decided on a pre-condition before passenger trains resume service on the Point Defiance Bypass. That's where Monday's deadly derailment happened. The curve where an Amtrak train derailed on Monday killing three people was once on a list to be straightened. But that project was dropped from the list of improvements eventually made due to its high cost. 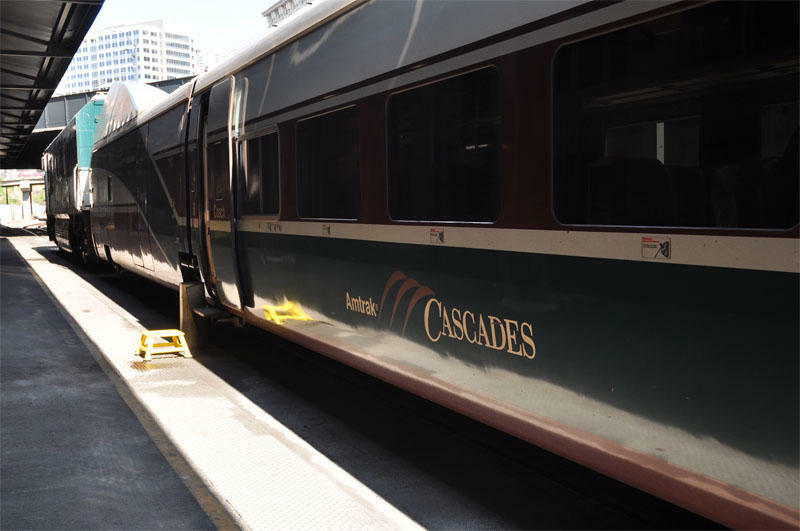 Monday’s deadly train accident near DuPont, Washington, was the second derailment of an Amtrak Cascades in five months. That’s raising questions about the safety of the popular commuter rail line that runs between Vancouver, BC, and Eugene, Oregon. Six survivors of Monday's train derailment south of Tacoma have put Amtrak on notice that they plan to file a lawsuit. It's the first, probably inevitable, sign that various parties affected by the deadly train wreck are lawyering up.